The nation’s nearly twelve million community college students are a key pillar of America’s future. Today, almost half of America’s undergraduates are studying in community colleges to acquire the skills they need to achieve their dreams and support themselves and their families. 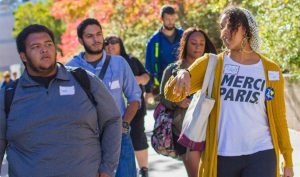 These students are diverse, motivated, and hopeful. After graduation, community college students also are more likely to stay in and contribute to their communities, going on to successful careers as teachers, business owners, civic leaders, and more. That’s why if we truly want to expand opportunity, grow our economy, and strengthen our communities, we cannot afford to ignore the potential of community college students as advocates for change. Today, more than ever, we are seeing a spotlight shined on the community college sector, including President Obama’s focus at the national level; Tennessee Achieves, a program to offer free community college education at the state level; and a proposal in Los Angeles to offer a year of free community college tuition at the local level. As promising as these initiatives are, more must be done. While supporting access to community college, job readiness, and student completion is important, we also must begin to see and support community college students as the engaged, informed change agents we know they want to be. We are inspired by the intelligence, tenacity, and commitment of today’s community college student leaders. Every day, across the nation’s twelve hundred community college campuses, young people are working together to achieve big, lasting change at both the local and state levels. At De Anza College in Northern California, students advocated on their campuses to get significantly discounted bus passes through the local transit agency — a move that not only has saved thousands of students money but also has had a positive environmental impact on the surrounding area. 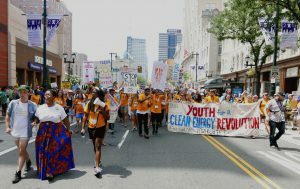 In North Carolina, where Young People For launched a community college initiative in 2015, students are advocating to expand voting rights and fighting against anti-LGBT and anti-Muslim sentiment. 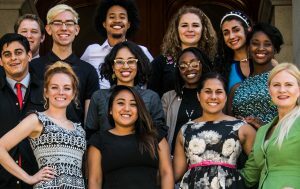 In California, thanks to the leadership of the Campaign for College Opportunity, community college students helped win a $60 million investment from the state of California so that millions of students placed in pre-college-level courses can catch up and get on track to achieve their college dreams. These are just some examples of the impact community college students can make. But they can’t do it alone. They need significant investment and support from foundations and individual donors. A great place to start is by joining us in incorporating community colleges into your grantmaking strategies. 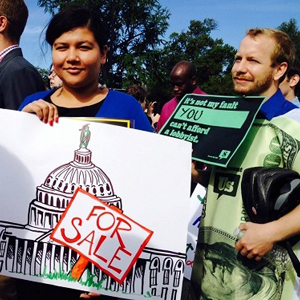 For funders who care about equity, movement building, and supporting a thriving democracy, community college students hold up half the sky, and targeted investments in them can help us move the needle on social justice issues such as immigration reform, educational equity, racial and economic inequality, health care reform, and community revitalization.